Enjoy a full years subscription of Healthy Revelations and discover life-changing health secrets you won't find anywhere else. For more than 120 years, experts have been researching the benefits of massage therapy, and besides the obvious stress-free feeling that people have following a massage, there are plenty of other benefits to this ancient healing procedure. One major benefit of massage therapy that researchers have found is that people who get massages on a regular basis have noticed a decrease in their blood pressure. Massages also help to alleviate the pain of those who suffer from migraine headaches. Massage can also: reduce your heart rate, increase blood circulation and lymph flow, relax your muscles, improve your range of motion, and increase endorphins. Research has also shown that while massage therapy does not increase your muscle strength, it can stimulate your weak and inactive muscles and can thereby aid muscles that you may not have worked out in quite some time. muscle spasms, promoting deeper and easier breathing, enhancing the health and nourishment of your skin, and improving your posture. Massage therapy, while a physical act, is not all about physical benefits. There are plenty of mental benefits that having a massage can give you. Some of these mental benefits include promoting mental alertness, relieving mental stress, reducing levels of anxiety, improving motor skills, creating body awareness, and fostering a feeling of well-being. While this article only touches on a few benefits of massage therapy, both physical and mental, there are plenty more out there that researchers are learning about each day. So, whatever your reason may be, pamper yourself today and reap all the benefits of a great massage. Massage therapy can also speed up your recovery process if you do have an injury. Massage therapy, while a physical act, is not all about physical benefits. There are plenty of mental benefits that having a massage can give you. Some of these mental benefits include: promoting mental alertness, relieving mental stress, reducing levels of anxiety, improving motor skills, creating body awareness, and fostering a feeling of well being. Massage can also: reduce your heart rate, increase blood circulation and lymph flow, relax your muscles, improve your range of motion, and increase endorphins. Some other physical benefits of massage therapy include: relieving muscle tension and stiffness, alleviating discomfort during pregnancy, reducing muscle spasms, promoting deeper and easier breathing, enhancing the health and nourishment of your skin, and improving your posture. Some of these mental benefits include: promoting mental alertness, relieving mental stress, reducing levels of anxiety, improving motor skills, creating body awareness, and fostering a feeling of well-being. While this article only touches on a few benefits of massage therapy, both physical and mental, there are plenty more out there that researchers are learning about each and every day. For many of us, popping a pill is the easiest solution to many of our everyday maladies. It is no surprise since modern medical science has found a way to almost instantly cure even the most debilitating disease known to man. But this is far from perfect. Even the most potent medicines or surgical procedures have its share of side effects and complications. Thus the search for gentler and more natural treatments continues. Massage therapy is just one of the many popular alternative treatments available today. It brings the power of touch to people who are suffering from sore muscles or a gentle way to relieve stress. The benefits of massage therapy however, go beyond relaxing tired muscles after a grueling workout or just another beauty treatment in your favorite spa. Stress has been linked to many diseases. It also speeds up the aging process. The benefits of massage therapy are not just skin deep. Every stroke also helps your body release stress and relaxes your soul. Massage therapy reduces the levels of cortisol or stress hormone, uplifting your spirits and lowering blood pressure. Heart muscles relax and blood pressure return to normal. It can also encourage the release of serotonin and dopamine the body’s feel good hormones. One of the most difficult things to do when we are getting a good massage is keeping ourselves from sleeping. Massage therapy could be a more relaxing and fun way of lulling ourselves to sleep. Studies have shown that massages have an effect on delta waves or those associated with deep sleep. Inflammation and pain are two of the body’s natural reaction during tissue or muscle injury. Massage therapy improves blood flow to the area by relaxing blood vessels. Better circulation helps much needed nutrients reach cells. Injuries heal much faster and help muscles recover for another day at the gym. Improving blood circulation can have a positive effect on cardio vascular health. It reduces chances for elevated blood pressures decreasing the heart’s workload. By the relaxing the body, it puts less strain on the heart reducing your risks for developing cardio vascular diseases. Reduces stress levels improved blood circulation to the brain all contributes to better brain functioning. People are able to concentrate and focus better without the cloud of stress. Relaxed moods also helps them maintain emotional stability especially people suffering from chronic depression. Regular massage therapy sessions can help people from chronic pain. One example is its therapeutic effects on people suffering from arthritis. It can trigger the release of feel good hormones while gently easing pain in the affected areas with its soothing actions. It reduces inflammation by improving blood circulation. Massage therapy can help people suffering from asthma or other pulmonary conditions. People with colds having difficult time breathing use more accessory muscles. These increases the workload on the muscles makes it harder to breathe. Massages eases and relaxes the muscles rejuvenating them for the task ahead. 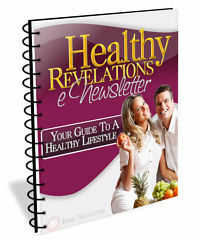 Enjoy a full years subscription of Healthy Revelations and discover life-changing health secrets you won’t find anywhere else.